EuCNC 2016 (European Conference on Networks and Communications) was the 25th edition of a successful series of technical/scientific conferences, open to the world research community, sponsored also by the European Commission, with a focus that ranges from the physical layer to all types of supported applications. Particular focus in this edition will be on 5G technologies. FANTASTIC-5G, mmMAGIC and Flex5Gware co-organised a workshop on 5G Physical Layer Design and Hardware Aspects below and above 6 GHz. METIS-II participated in the Panel “5G Architecture”. Discussions took place cantered on the White Paper released in March 2016 by METIS-II on 5G Architecture. The paper started by listing the main service types that are considered for 5G, namely extreme mobile broadband (xMBB), massive machine-type communications (mMTC) and ultra-reliable machine-type communications (uMTC), as well as the five specific use cases towards which METIS-II is performing the 5G RAN design, and which typical represent a mixture of services. It further described the key requirements on the 5G RAN architecture that have been identified and derived from the diverse service and use case needs, and explicitly elaborated on the requirements posed by the notion of Network Slicing in 5G. Also, a special session “METIS-II views on 5G RAN design and architecture” was held, presenting research papers highlighting some of the most recent results of the work in METIS-II. 5G-Crosshaul organised a Workshop on “Next Generation fronthaul/backhaul integrated transport networks”, while the 5G-Crosshaul project also contributed to three invited talks to other workshops and released five papers in the main conference. CogNet organised a workshop on Network Management, QoS and Security, with the projects CogNet, SelfNet, SONATA, 5G-ENSURE and 5G-NORMA all presenting papers at this workshop. FANTASTIC-5G held a special session on Ultra-Reliable and Mission Critical Communication. The session presented some of the important use cases, as well as the central technical challenges towards achieving mission critical communications in 5G. 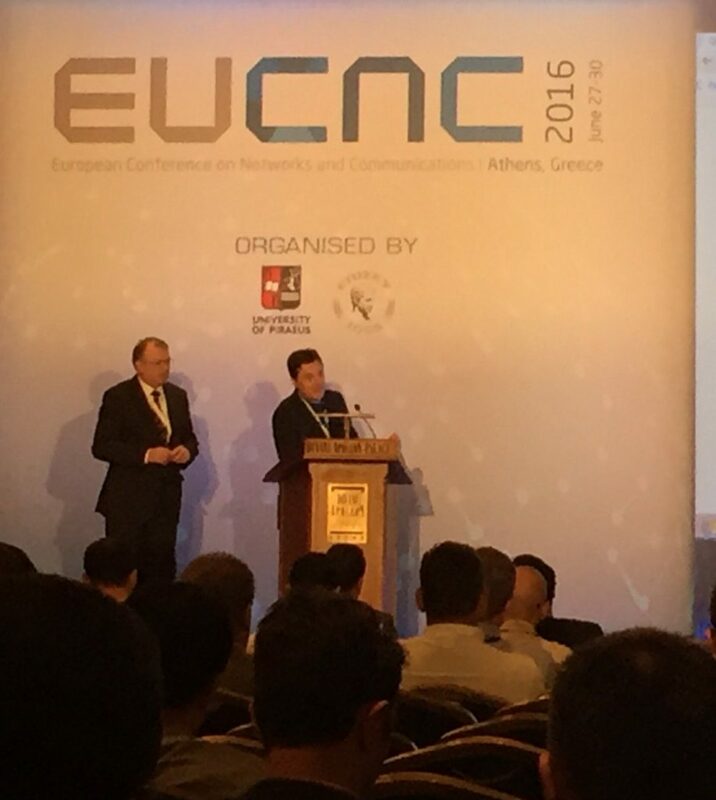 The 4th 5G PPP information day was held alongside the EuCNC conference in Athens on the final day. The workshop shared the context of the 5G PPP call 2 with all interested parties, and provided opportunities for organisations to present their projects or technological ideas and seek potential collaborators.